You’re reading novel King of Gods Chapter 780 online at LightNovelFree.com. Please use the follow button to get notification about the latest chapter next time when you visit LightNovelFree.com. Use F11 button to read novel in full-screen(PC only). Drop by anytime you want to read free – fast – latest novel. It’s great if you could leave a comment, share your opinion about the new chapters, new novel with others on the internet. We’ll do our best to bring you the finest, latest novel everyday. Enjoy! "Yuqing, is this the legendary insect of the Ten Thousand Ancient Races from your father's collection!?" the Eighth Prince exclaimed. Zhao Feng had read the Ten Thousand Ancient Races Ranking in the DemiG.o.d Forgotten Garden; the bloodlines of the Ten Thousand Ancient Races were spread across the world after the ancient continent shattered, and almost all of the Ten Thousand Ancient Races were extinct. The bloodline of a Ten Thousand Ancient Races insect is usually much purer than a human's. Zhao Feng's eyes twinkled as he inspected the Cloud Silkworm Sacred b.u.t.terfly. 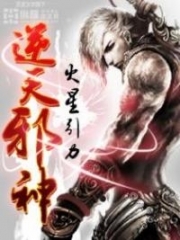 The Cloud Silkworm Sacred b.u.t.terfly was an original race from the Ten Thousand Ancient Races, and although it was only ranked in the seven hundreds, its bloodline was stronger than Zhao Feng's Mystic Ice Scaled Race bloodline before at the same cultivation. Although rankings were important, the purity and quant.i.ty were even more important. For example, if Zhao Yufei's Spirit Race bloodline awakened by even half, it would cause the color of Heaven and Earth to change, and it would suppress all the other races. If the first-ranked Ancient Race appeared with their G.o.d Demon Bodies, s.p.a.ce itself wouldn't be able to withstand it. "The Cloud Silkworm Sacred b.u.t.terfly is one of the four most beautiful races of the Ten Thousand Ancient Races. Its abilities are also extremely unique; it can switch between three different states - Silkworm, Dragonfly, and b.u.t.terfly. It is a rare three-state lifeform." The Eighth Prince looked at the Cloud Silkworm Sacred b.u.t.terfly as if he was looking at a work of art. This creature was enticing even for him, but there was a sign of regret on his face. "The Cloud Silkworm Sacred b.u.t.terfly is in deep sleep due to an unknown reason." Zhao Feng looked at it. It could be said that the aura of life from the Cloud Silkworm Sacred b.u.t.terfly was extremely weak, and sometimes it even stopped entirely. "Zhao Feng, the Cloud Silkworm Sacred b.u.t.terfly has been sleeping for many years. It was like this even when I was born. I've never heard of any beast tamer able to awaken it." Princess Yuqing's eyes glinted with expectation. The image of Zhao Feng's abilities in Wuyou Forest entered her heart. "Yuqing, this is your father's rare insect. How can you let a random beast tamer mess with it? What if something bad happens…?" The Eighth Prince's expression changed dramatically. Even old and experienced beast tamers were unable to awaken the Cloud Silkworm Sacred b.u.t.terfly, let alone the extremely young Zhao Feng. Even if it was sleeping, the value of the Cloud Silkworm Sacred b.u.t.terfly couldn't be measured. Even Emperors and Mystic Light Realm Sacred Lords were interested. "I feel like he's different from other beast tamers, so I snuck father's Cloud Silkworm Sacred b.u.t.terfly out. I just want to increase father's strength." Tears seemed to form in Princess Yuqing's eyes. "Zhao Feng, do you think the Cloud Silkworm Sacred b.u.t.terfly can still be saved?" Princess Yuqing had a pitiful expression on her face. Zhao Feng could sense the belief in her eyes, but he didn't know why she believed in him so much. Seeing it though, Zhao Feng nodded his head and started to inspect the Cloud Silkworm Sacred b.u.t.terfly. The little thieving cat also appeared and circled the Cloud Silkworm Sacred b.u.t.terfly, as if trying to signal something. During this process, Zhao Feng's left eye was covered in a misty purple illusion as he looked at the gla.s.s bottle containing the Cloud Silkworm Sacred b.u.t.terfly closely. "This Cloud Silkworm Sacred b.u.t.terfly should have undergone some sort of battle and was injured from that…." Zhao Feng said calmly. Hearing that, the eyes of Princess Yuqing lit up; "That's right." The Eighth Prince looked at Zhao Feng weirdly. Zhao Feng's a.n.a.lysis was correct, and he was sure that Zhao Feng didn't know about the Cloud Silkworm Sacred b.u.t.terfly beforehand. "Not only has it lost its essence, its consciousness is also in danger. What's more terrible is that it has opened its defensive mechanism and rejects outside help." Zhao Feng continued to a.n.a.lyze. Through the G.o.d's Spiritual Eye, he could perfectly see the situation within the Cloud Silkworm Sacred b.u.t.terfly. Even Emperors and Mystic Light Realms didn't have the power to see with such precision. "His a.n.a.lysis is extremely close to the beast tamer from the Tianliang Province." Princess Yuqing was shocked. It seemed as if Zhao Feng's beast taming skills weren't weaker than a Grandmaster. Back then, a Beast Tamer Grandmaster had spent the same amount of time to come up with an a.n.a.lysis similar to Zhao Feng's. This Zhao Feng… The expression of the Eighth Prince froze. It looked as if Zhao Feng was truly talented. Princess Yuqing was filled with admiration and expectation. Was there such a young, handsome, and talented Beast Tamer anywhere else in the entire lord dynasty? 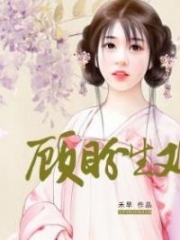 At this moment, Princess Yuqing couldn't help but plan that, even if Zhao Feng couldn't succeed, she needed to help her father recruit this genius. "Zhao Feng, do you have any way of waking it up?" Princess Yuqing's face was red like an apple. "I only have a 50% chance." Zhao Feng smiled faintly. He didn't really care too much, but the secret of the ancients as well as Princess Yuqing's purity moved him. 50%? The Eighth Prince's eyebrows twitched, and Princess Yuqing's mouth opened slightly. The former was suspicious, and the latter felt incredulous. 50%! Countless Beast Tamers had entered the Duke's Palace, but none of them ever said that they had a 50% chance. Putting aside 50%, none of them even said 20%. Even 10% was considered high among their estimates. "If I wake it up, I need some resources and rewards," Zhao Feng said. This meant that he wouldn't do it for free. "Of course, if you manage to wake it, my father will satisfy you with whatever you want." Princess Yuqing nodded her head. "I'll only do a preliminary a.n.a.lysis right now. If there's hope of waking it up, I'll go back and prepare," Zhao Feng said. After he said this, he closed his eyes and merged his mind into the blue whirlpool at the center of his left eye's dimension. The force of the Ancient Dream Realm made Zhao Feng's body heavy, and his face went slightly red. With Zhao Feng's current physical body-strength, he was able to stay in the Ancient Dream Realm for at least a couple breaths; his lifeforce and soul-strength were more than enough to achieve that much. Zhao Feng inhaled deeply, then instantly exited from the Ancient Dream Realm. He then immediately let out a breath toward the Cloud Silkworm Sacred b.u.t.terfly. The aura was extremely stealthy, and he had fused some aura from his G.o.d's Spiritual Eye as well. In that instant, the bloodlines of both the Eighth Prince and Princess Yuqing felt pressured. Shock appeared on the Eighth Prince's face. The two watched in surprise as Zhao Feng exhaled toward the Cloud Silkworm Sacred b.u.t.terfly. Could this "divine breath" from Zhao Feng save the Cloud Silkworm Sacred b.u.t.terfly? The half-transparent wings of the Cloud Silkworm Sacred b.u.t.terfly fluttered slightly. "It moved?" Princess Yuqing and the Eighth Prince stared at the Cloud Silkworm Sacred b.u.t.terfly. If they hadn't been paying careful attention, they would've thought it was just an illusion, but the Cloud Silkworm Sacred b.u.t.terfly had indeed moved just now. As expected, the bloodline of the G.o.d's Spiritual Eye can shock even the Ten Thousand Ancient Races. In addition, the aura of the Ancient Dream Realm is extremely close to the Ten Thousand Ancient Races, so they can easily absorb it…. Zhao Feng secretly nodded his head. "Zhao Feng, you're incredible! The Cloud Silkworm Sacred b.u.t.terfly really moved!" Princess Yuqing was overjoyed while the Eighth Prince was slightly dazed. At this moment in time, Zhao Feng was like a monster in his eyes. This youth made even Luo Zun, a genius on the Imperial Rankings, feel defeated, and now a mere breath of his made the Cloud Silkworm Sacred b.u.t.terfly move. Such talent wasn't something normal people could have. "Okay, now that I've confirmed that I can awaken the Cloud Silkworm Sacred b.u.t.terfly, I need to go back and prepare for a month," Zhao Feng said, declining Princess Yuqing's invitation to stay, and left behind a list of materials. Some of the materials were needed to awaken the Cloud Silkworm Sacred b.u.t.terfly while others were for his personal use. Not long after Zhao Feng left, in front of a lake in the Duke's Palace. "Hmm… the aura of the Ten Thousand Ancient Races? Wait, it's the Cloud Silkworm Sacred b.u.t.terfly!" The expression of a male in golden robes changed. "Yuqing, you snuck out the Cloud Silkworm Sacred b.u.t.terfly that was being healed in the Life Source Building?" Duke Nanfeng's expression was slightly ugly as he looked at the gla.s.s bottle in Princess Yuqing's hand. "Father, there was a Beast Tamer just now that made the Cloud Silkworm Sacred b.u.t.terfly-" Princess Yuqing quickly tried to explain, but an Imperial Power took away the Cloud Silkworm Sacred b.u.t.terfly halfway through her explanation. "Hmm?" Duke Nanfeng scanned his Divine Sense across the bottle and instantly revealed a weird look. "Impossible, why are the signs of life inside the Cloud Silkworm Sacred b.u.t.terfly becoming stronger…?" 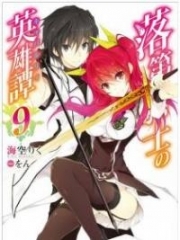 You're reading novel King of Gods Chapter 780 online at LightNovelFree.com. You can use the follow function to bookmark your favorite novel ( Only for registered users ). If you find any errors ( broken links, can't load photos, etc.. ), Please let us know so we can fix it as soon as possible. And when you start a conversation or debate about a certain topic with other people, please do not offend them just because you don't like their opinions. You're reading King of Gods Chapter 780. This novel has been translated by Updating. 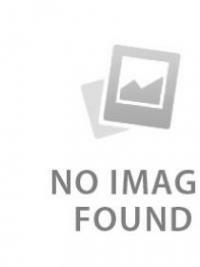 Author: Fast Food Resturant,快餐店 already has 2728 views. Current Time is Apr-20-2019 06:34:53 AM.